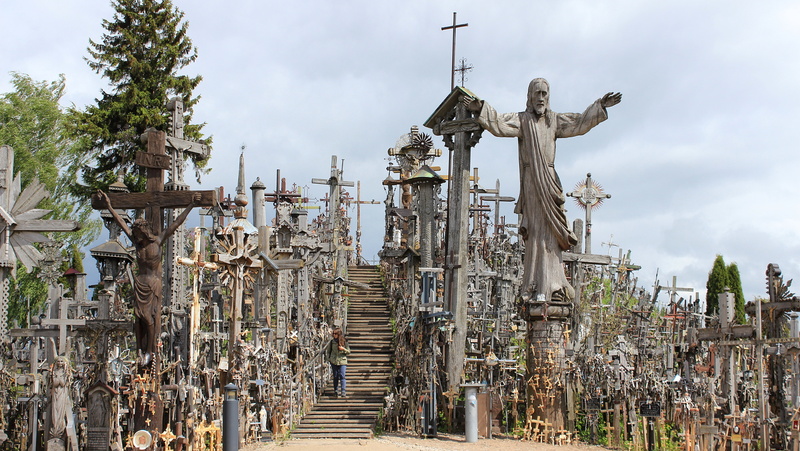 The Hill of Crosses is one of the most famous and unique tourist sights in Lithuania. 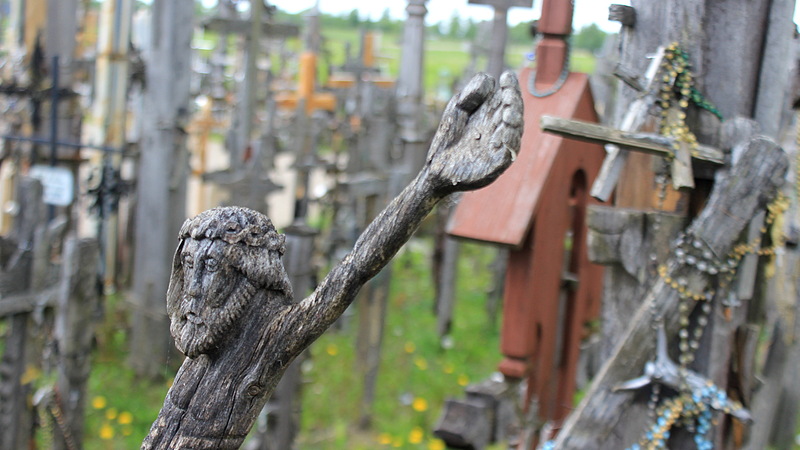 Here are pictures from my visit to the Hill of Crosses near Šiauliai, Lithuania. I arrived in Šiauliai, Lithuania after a long day of sitting on buses all the way from Tallinn. 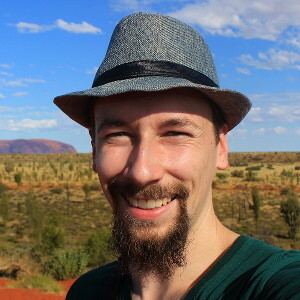 After spending the night with my super nice Couchsurfing hosts Iván and Ester, I had time to walk around the historical town of Šiauliai and its most famous landmark, the Hill of Crosses (Kryžių kalnas). 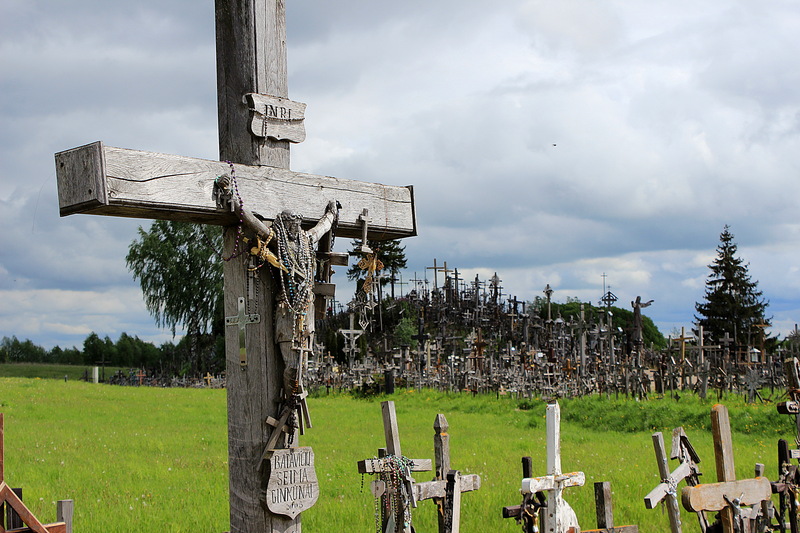 The road leading to the Hill of Crosses from the closest bus stop near Šiauliai, Lithuania. 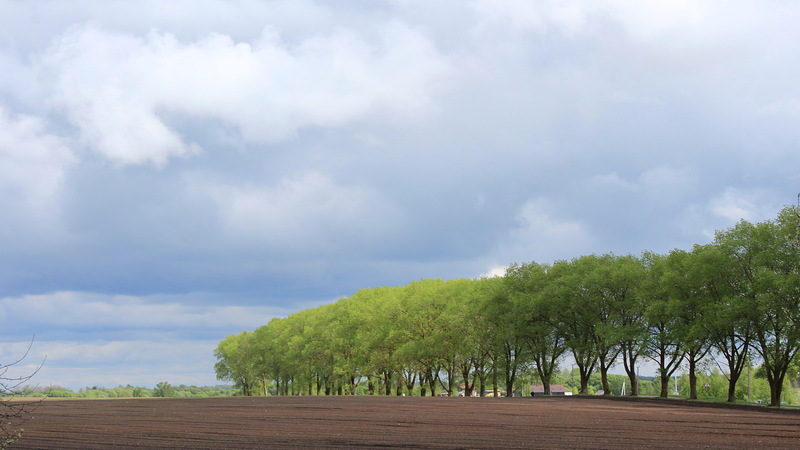 It’s hard to show the scale in a picture, but the trees were absolutely enormous. The walk itself went quickly, as I strolled together with Slovakian traveler Milan whom I met while waiting for the bus. When we were coming to the Hill of Crosses, Milan said he was a little surprised about how little the hill actually was. The hill is barely a hill, but a small tip rising between the fields. 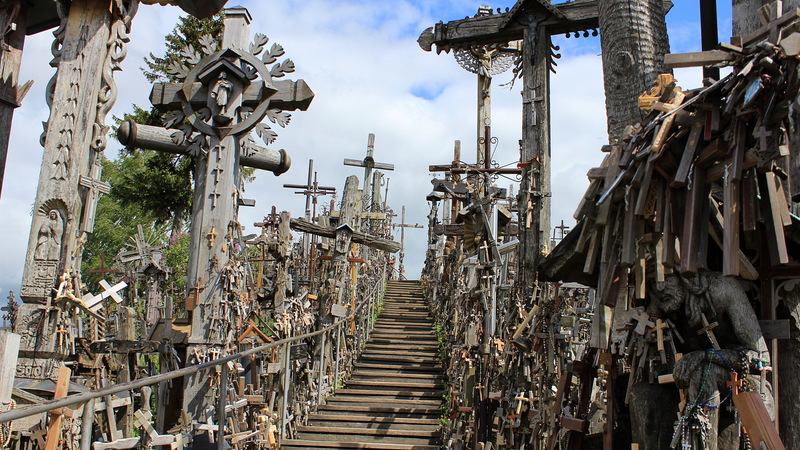 So, what is this Hill of Crosses anyway? 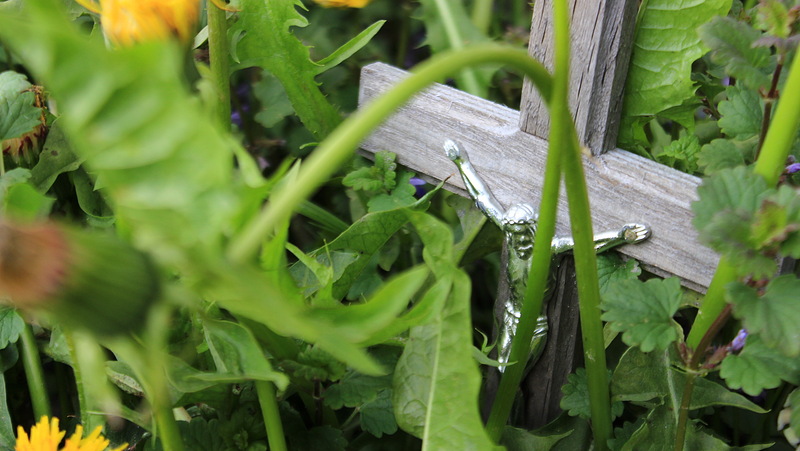 The tradition of bringing crosses and crucifixes to the hill started during the 19th century. When Lithuanians (unsuccessfully) fought for their independence from the Russian Empire, the families of the deceased members of the Uprising started to pay their tributes to the dead in this location. The hill then became a symbol of Lithuanian independence and culture. The tradition continued during the whole Soviet era even though the officials tried to remove all the new crosses that appeared on the site. 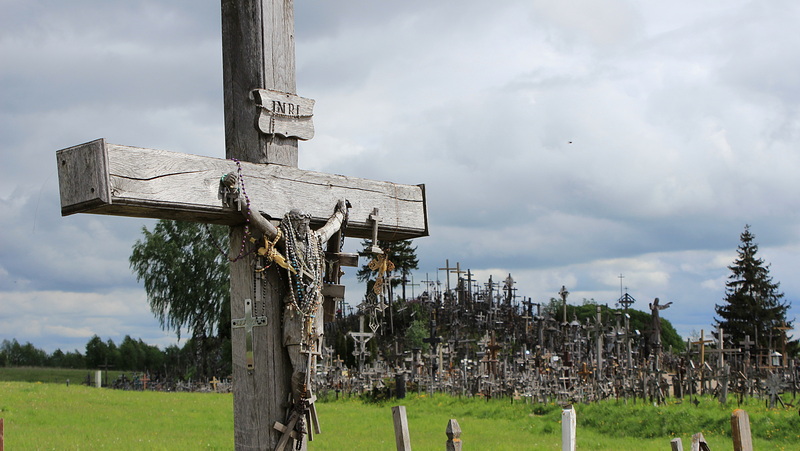 After the fall of the Soviet Union, the tradition of bringing crosses to the pilgrimage site near Šiauliai has completely escalated. 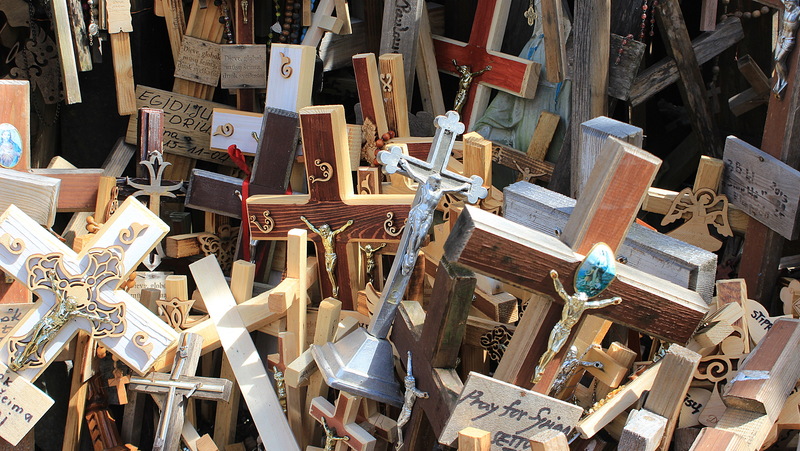 According to some estimates, there are over 100,000 crosses on the hill and more keep coming every year. How many Jesuses can you fit on a hill? 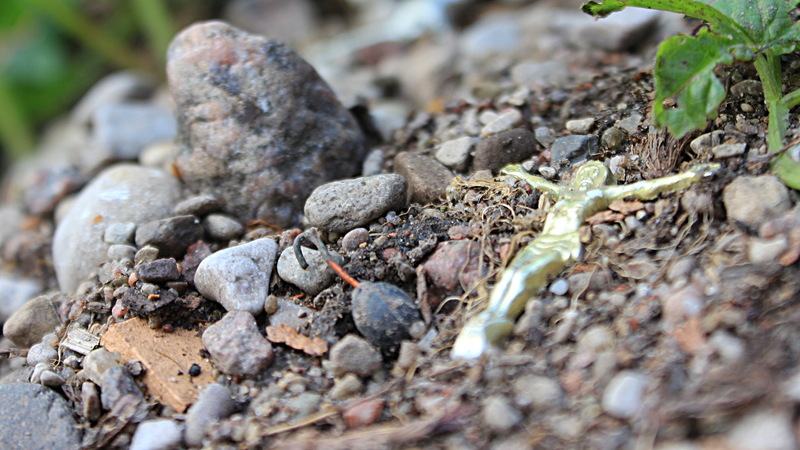 I looked down on the ground at the top of the hill and realized that most of the trash I was stomping were actually little religious tokens. 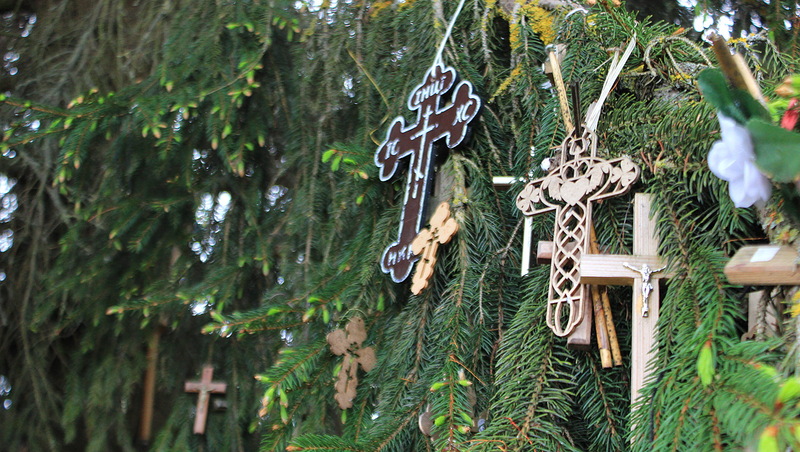 Looking up, the trees of the Hill of Crosses were also decorated with crosses. A Christmas tree, perhaps? This Jesus had lost an arm. He’d still make a good baseball player.